MULTIGENERATIONAL custom home w/ built-in pool (auto cover)! This home is ideal for a TRADESPERSON! Super sized 3.5 car garage-500 sqft work shop-massive storage-8.5' garage door-14' foot ceilings. Features include: over 1000 sqft of finished above the garage living and office space w/ a separate entrance. The above garage area has a den, bedroom, 2 baths and kitchenette. Home highlights; 5 beds, 6 full/2 half baths, hardwood, gourmet kitchen w/rich cr me cabinetry and chocolate glaze, SS appliances, 6 burner Jen-air stove, double refrig/freezer, 3 ovens, a 17 ft granite serving bar overlooking an impressive FR w/built-ins and FP. 1st floor master suite features;13 x 12 walk in closet, sun room w/hot tub and elegant travertine master bath. Enjoy the lazy days of summer in this Southern Style home featuring 1000 sqft of porch and decks overlooking a professionally manicured yard and brick pavers in the Chalet Hills golf community. Five minutes from the Metra! For purchase or rent! 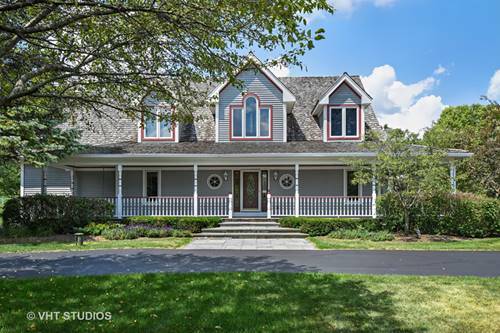 For more information about 30 Brittany, Cary, IL 60013 contact Urban Real Estate.